This blog is an opinion piece. I’ve explained the reason behind why each is among my favorite Park City condominiums. If you agree or disagree with my choices, I’d love to hear your thoughts in the comments below! I always show these properties when they meet my clients’ purchasing criteria. Why? Because I believe they are the best value in their class. In fact, I’ve done real estate transactions in nearly all of these developments. I’ll explain a little about each. Let me know if I can provide more details about any of these condos or show you the units that are currently available. Generally, there is scarcity in all of these projects except for Juniper Landing and Viridian, which are new construction. Viridian is a brand new project—they haven’t even broken ground yet. It’s also walking distance to the Frostwood gondola and on the 11th fairway of the Canyons Golf Course. Viridian is 24 contemporary townhomes that come with private garages. It’s across the street from the Waldorf Astoria Hotel, with easy access to the Waldorf’s restaurant and spa. Common area amenities include heated pool, spa and fire pit. viridianparkcity.com | Reserve one now. These are older properties at the base of Park City Mountain. Location, location, location. How can you go wrong at the base of Vail’s largest ski resort in the U.S.? I believe big things are in store for Park City’s tired village. Get into one of these properties now before they become untouchable. Many have been remodeled inside or present a great opportunity for upgrades. These condos are on the free bus route and also a quick walk to Historic Main Street. A no brainer. These two properties are located next door to each other and share a stellar location. 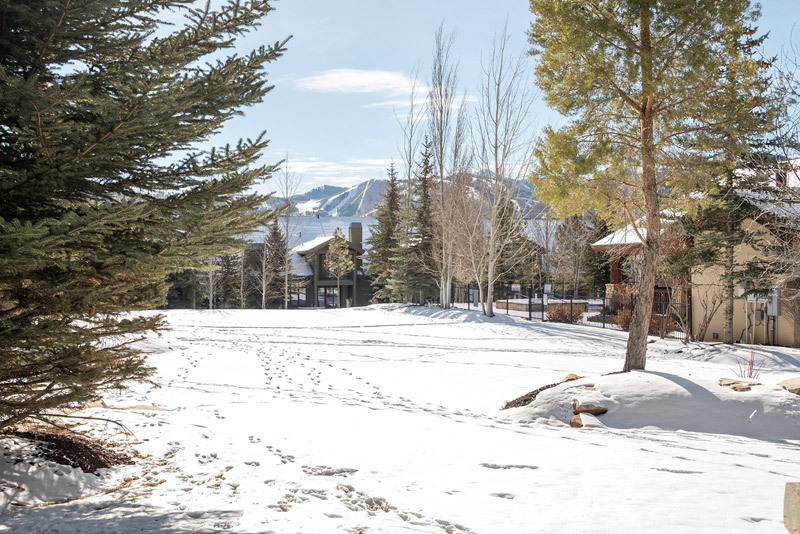 Walk out the front door to the Deer Valley parking lot and ski shuttle. Walk home from summer concerts while everyone is in traffic. Comstock Lodge presents a great opportunity to buy a “log cabin” and upgrade it (like the one I just listed). Silver Baron is managed by Deer Valley and has amenities including pool, gym and restaurant. It is a condo-hotel and works great for someone who wants to own a Park City property and never give it a second thought. If you want to be in a true ski in/ski out property, nothing beats the prestige, service and amenities of the Montage Deer Valley. And the rental income from these condominiums is six-figure substantial. This is also easy ownership, where Montage takes care of everything and just mails you a rental income check. 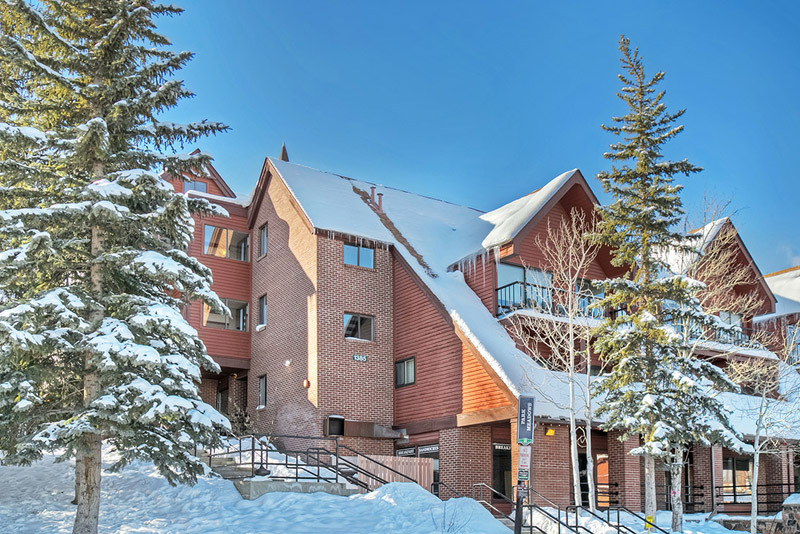 Racquet Club condominiums are on the free bus line and adjacent to the Park City Municipal Athletic Recreation Center (PCMARC). They are situated on acres of land in a park-like setting with trees and wildlife. Some of the units even back to the Park Meadows golf course. I put my money where my mouth is on this one, as I purchased a Racquet Club condo in 2016. They make great long-term or vacation rentals, second homes or primary residences. Each unit comes with a detached one-car garage. 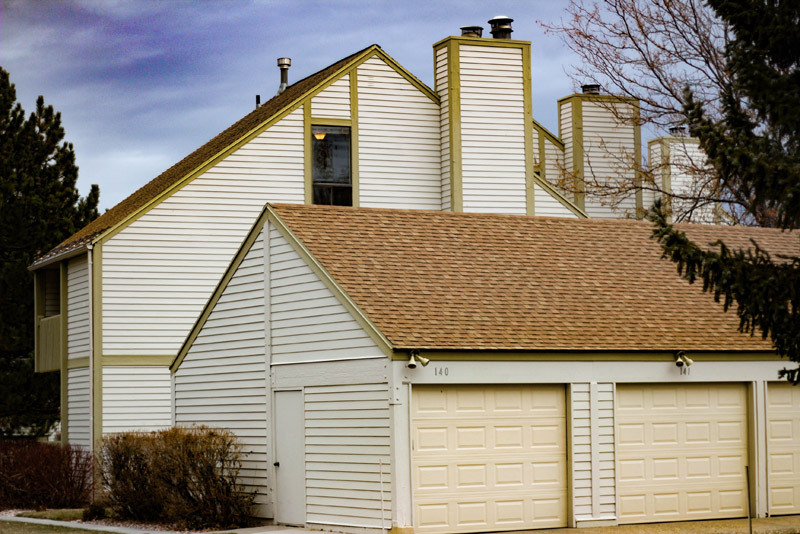 These townhomes are adjacent to the Park Meadows Country Club and share a pool, hot tub and clubhouse. They have great views and attached 1-3 car garages. These condos work perfect for the family who needs space, but still wants a “lock and leave” or “rent-it-when-I’m-not-using-it” option. Many of these units back up to open space, and they are all a short walk to Park City’s Round Valley trail system. Canyon Creek Condominiums are the white condominiums you see north of Highway 80 near Kimball Junction. All come with either a car-port or garage. 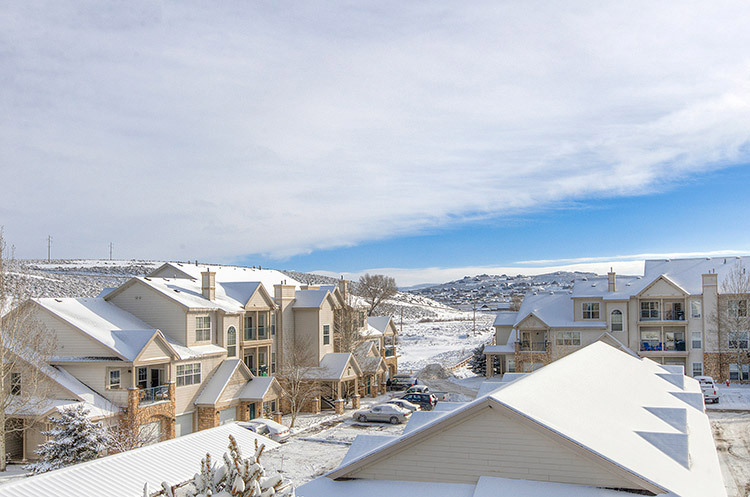 These are the best affordable condominiums in Park City and the place where many of Park City’s white collar workers live. Amenities include a pool, hot tub, gym and clubhouse. These condos are a short walk to Park City’s trail system and all the dining, restaurants and activities at Kimball Junction. There is on-site management and they make great seasonal or long-term rentals, but nightly vacation rentals are not permitted. These townhomes are located in Newpark across the street from Best Buy and on top of the parking structure. There is a secure driveway that takes you to the common area where each private, one-car garage is located. Each property is 2 bedrooms. Built in 2015, they are new construction and most of them have stellar views. I like the 2-story, reverse floor plan where there is a bedroom on each level (for privacy) and the main living level is on the second floor. As you can see, there are great condominium projects all over town. 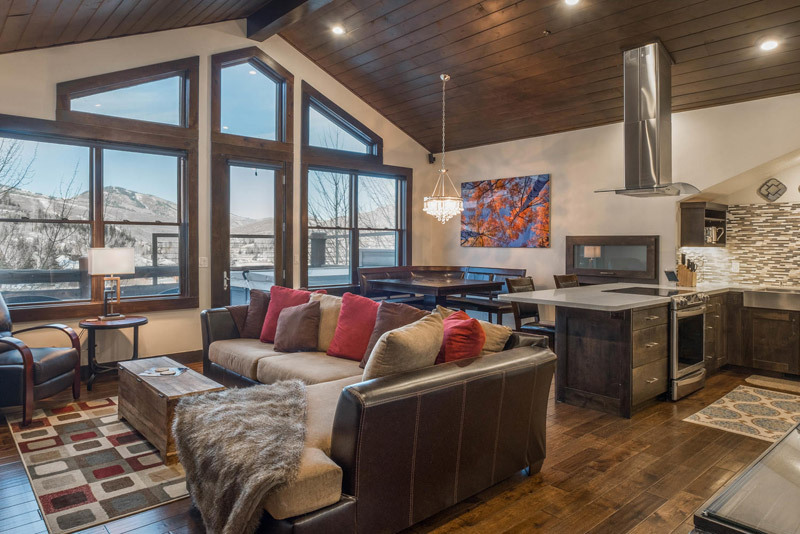 These are some of my favorites, but there are many more wonderful properties in Park City to choose from. If you are thinking about investing in a Park City condominium, please contact me and we can review the best in class for your budget.